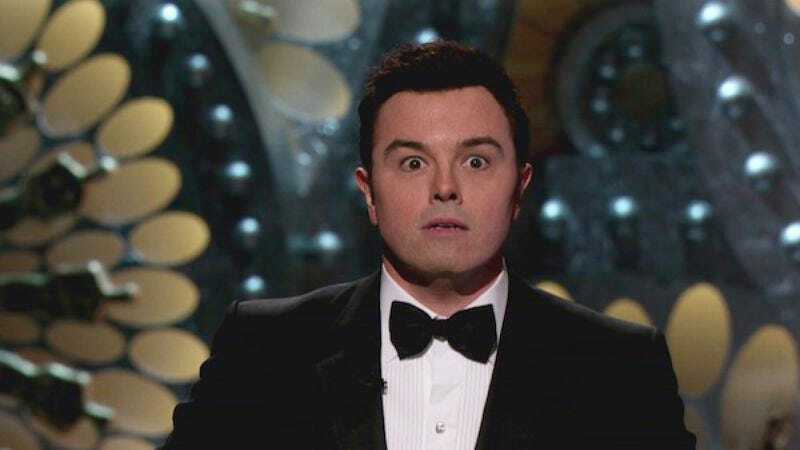 Although he succeeded in bringing younger viewers to the Oscars and got to see his name in a whole bunch of articles the next day, which was probably nice, Seth MacFarlane is not interested in returning as Oscar host. At least, that’s what MacFarlane said on Twitter (and obviously, we should all take the things people say about the Oscars on Twitter very, very seriously) with MacFarlane responding to a question about doing it all again with, “No way. Lotta fun to have done it, though.” MacFarlane later clarified his statement in a usual Seth MacFarlane sort of way, with a Star Trek reference: “The Oscars is basically the Kobayashi Maru test,” referring to the famed Starfleet training exercise where cadets are put through a “no-win” situation of being asked to do exactly the sort of thing they are famous for, then enduring repeated criticism from people who are shocked they actually did that thing.